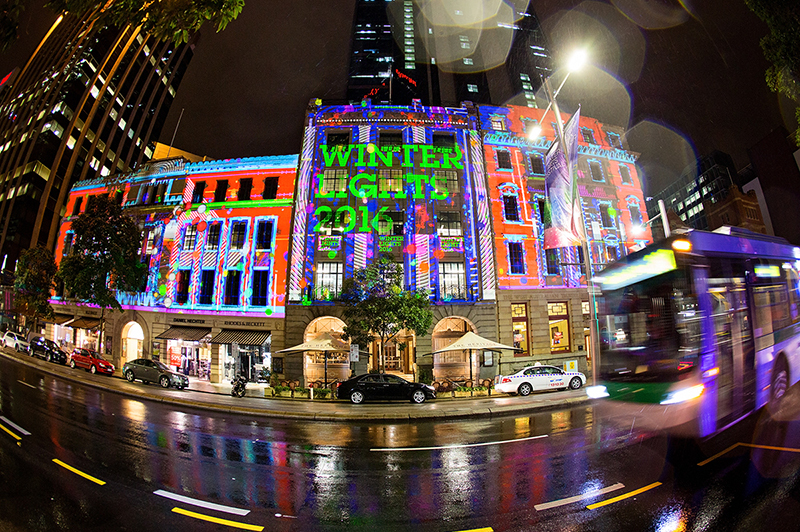 For the second year running, Lux Events were proud to be appointed as the Event and Productions company for the annual Brookfield Winter Lights Festival, which ran every night for 11 days. 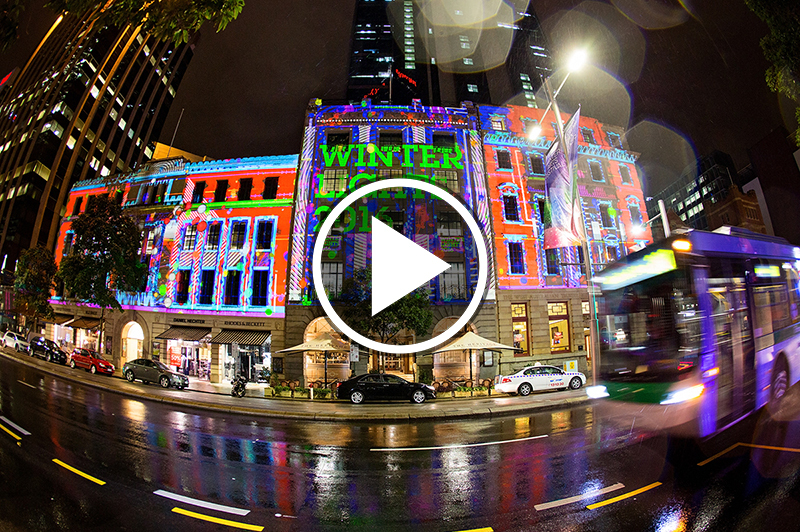 We incorporated the historic buildings located along Perth’s St Georges Terrace into our mesmerising animated design, created by our talented designer Pawel Piotr Przybyl at siedemzero.com. 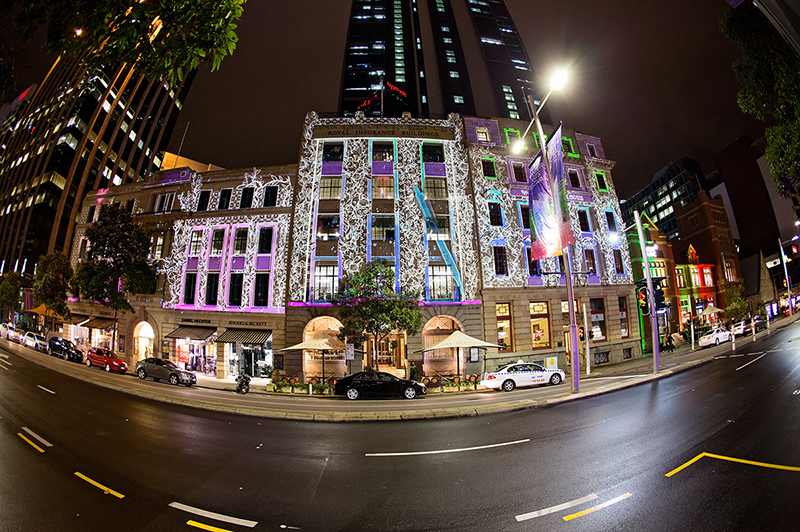 As part of our leap into experiential events, we created two interactive projection activations where the public could create their own projection and light show on the buildings through drummming and hand movement. 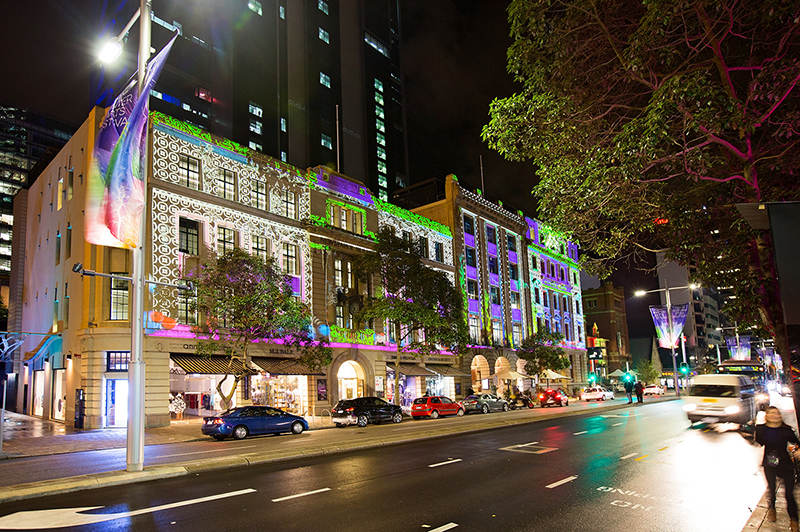 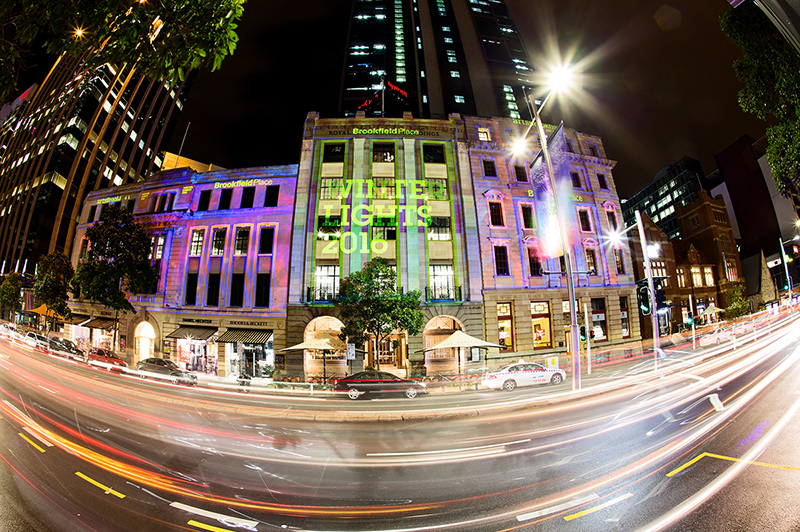 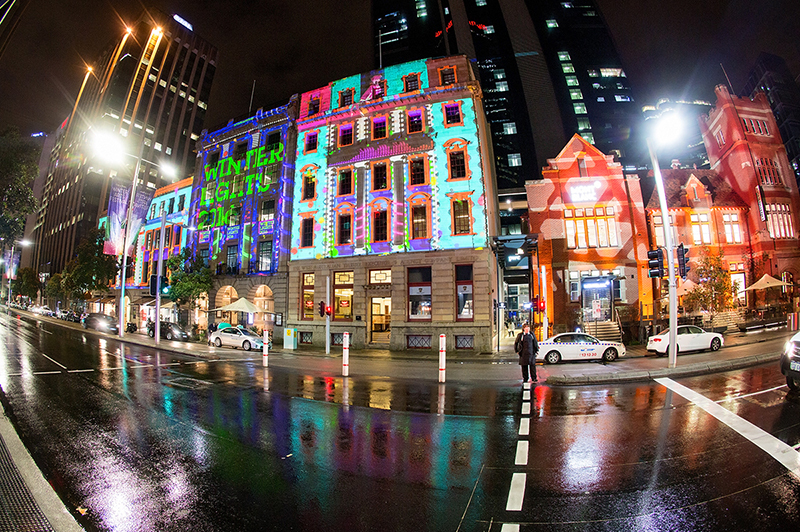 Neon themed projections and interactive activations breathed life onto the heritage buildings of Brookfield Place in Perth city.